Voopoo Panda Replacement Pods cater to all types of vapers and come in two resistances: the 1.2ohm pod is recommended if you are using nicotine salt juices or prefer a mouth-to-lung vape, while the 0.8ohm pod is optimized for traditional vape juices and suits direct-to-lung vapers. Each pod is capable of holding 5ml of your favorite e-liquid and can be refilled multiple times. Refilling the Voopoo Panda Pod couldn't be easier, simply remove from your Voopoo Panda pod system, remove the rubber stopper, fill-up, and place it back into the device. 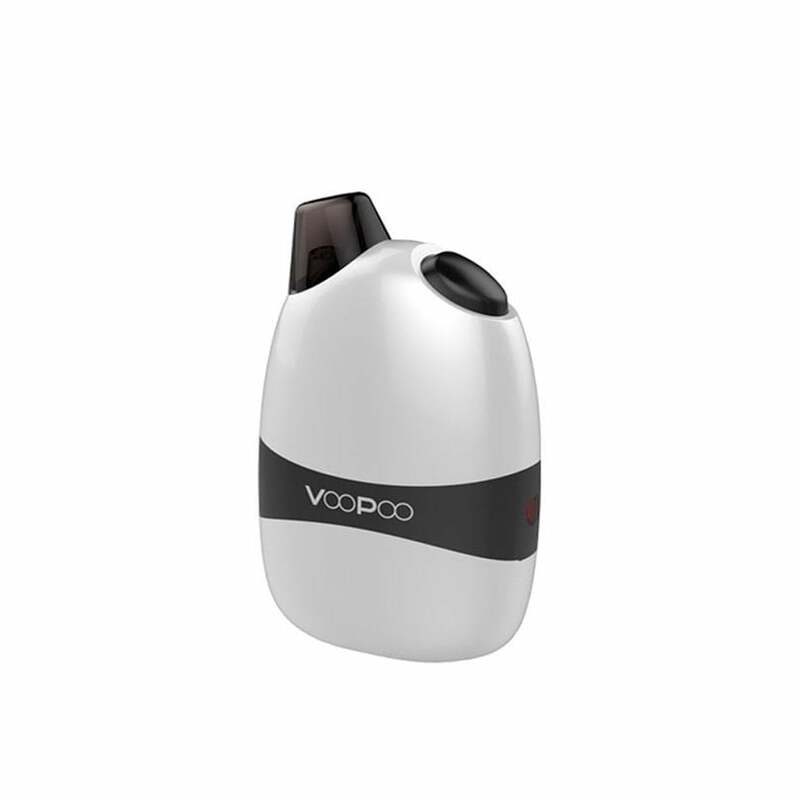 It is recommended to wait 10 minutes before using a new pod to avoid burning the pod. The Voopoo Panda is a versatile refillable pod mod with two different pod options: one optimized for standard vape juice, and one for nicotine salts. The Voopoo Panda has an ergonomic design that fits perfectly into your palm or pocket, and is easy to use: just fill up a Voopoo Panda pod, slot it into the device and you’re ready to start vaping. The Panda is a smart pod system with two different types of 5ml cartridge available: a nicotine salt option with a 1.2ohm coil, and one for standard vape juice with a 0.8ohm coil. The output power of the device will change depending on which pod is inserted: 8W for the nic salt pod and 12W for the standard juice pod. This gives you the perfect vape for whichever liquid you’ve decided to use! To fill up your pod, remove the outer casing of your Voopoo Panda, take out a pod, remove the silicon plug at the base of the pod and fill through the slot, making sure to replace the stopper firmly. Don’t be fooled by its compact size: the Voopoo Panda is a high-performance kit. An in-built 1100mAh battery powers your Panda, giving you impressive battery life, and the kit can be easily charged using the USB cable included in the packaging. The Voopoo Panda also boasts a vertical airflow system designed to allow more air in; this helps produce thick, flavorful clouds with every puff. The Panda by Voopoo comes with a range of safety features, including a 10-second cut-off, short circuit protection, overcharge protection and over-discharge protection. The Voopoo Panda is the perfect kit if you’re looking to use both nicotine salts and regular vape juice. The Panda is stealthy, versatile and provides a fantastic vape, whichever kind of juice you prefer. Smooth cool vaping. Very comfortable to hold. It's already dead and won't work. It may be because the cartridges leak so badly. I purchased another from a different vendor previously and the same thing happened with that one. This is a shame because it's a great device for as long as it works. But after about 2 weeks the power simply won't hold a charge, I guess, and the blue indicator light flashes continuously when you press the activator button and nothing happens when you draw on the pod. The panda is the best I have bought. The charge can last anywhere between three to five days depending on how much you use it. The draw is very smooth. The size is perfect for me, small enough to fit in my pocket or purse. The design is attractive and durable. I have dropped mine multiple times and no harm done. The vape oil last a good amount of time with heavy use. I will definitely buy another. extremely long time. No plastic taste. I now own three of these. Happy camper here. Its great just picked it up the 1st day the vapor is a little harsh until its gets broken in then you can hit it like crazy no problems at all chain vaping i really like it! PANDA broken right outta box. ET was great, and gave me a full refund/store credit of my choice. Huge juice capacity! Long battery life! Great vapor production. Its a great all in one device. Highly recommend!!! !